Space has been on my brain a lot lately. One of the causes was the long-awaited presentation by Elon Musk at the International Astronautical Congress (IAC) last month. During the talk, he finally laid out the details of his “Interplanetary Transport System” (ITS). The architecture is designed to enable a massive number of flights to Mars for absurdly low costs, hopefully enabling the rapid and sustainable colonization of Mars. The motivation behind the plan is a good one: humanity needs to become a multi-planetary species. The sheer number of things that could take civilization down a few pegs or destroy it outright is frighteningly lengthy: engineered bio-weapons, nuclear bombs, asteroid strikes, and solar storms crippling our electrical infrastructure are some of the most obvious. Rampant AI, out-of-control self-replicating robots, and plain old nation-state collapse from war, disease, and famine are some other threats. In the face of all those horrifying things, what really keeps me up at night is the fact that if civilization collapses right now, we probably won’t get another shot. Ever. We’ve abused and exhausted the Earth’s resources so severely, we simply cannot reboot human civilization to its current state. This is the last and best chance we’ll ever get. If we don’t establish an independent, self-sufficient colony on Mars within 50 years, we’ll have solved the Fermi Paradox (so to speak). But Musk’s Mars architecture, like most of his plans, is ambitious to the point of absurdity. It at once seems like both fanciful science fiction and impending reality. Because Musk works from first principles, his plans defy socio-political norms and cut straight to the heart of the matter and this lateral approach tends to rub the established thinkers of an industry the wrong way. But we’ve seen Musk prove people wrong again and again with SpaceX and Tesla. SpaceX has broken a lot of ground by being the first private company to achieve orbit (as well as return safely to Earth), to dock with the International Space Station, and to propulsively land a part of a rocket from an orbital launch. That last one is particularly important, since it was sheer engineering bravado that allowed them to stand in the face of ridicule from established aerospace figureheads. SpaceX is going to need that same sort of moxie in spades if they are going to succeed at building the ITS. Despite their track record, the ITS will be deceptively difficult to develop, and I wanted to explore the new and unsolved challenges that SpaceX will have to overcome if they want to follow through on Musk’s designs. The basics of the ITS architecture are simple enough: a large first stage launches a spaceship capable of carrying 100 people to orbit. More spaceships (outfitted as tankers) are launched to refill the craft with propellants before it departs for Mars during an open transfer window. After a 3 to 6 month flight to the Red Planet, the spaceship lands on Mars. It does so by at first bleeding off speed with a Space Shuttle-style belly-first descent, before flipping over and igniting its engines at supersonic speeds for a propulsive landing. After landing, the craft refill its tanks by processing water and carbon dioxide present in Mars’s environment and turning them into propellant for the trip back to Earth. Then the spaceship simply takes off from Mars, returns to Earth, and lands propulsively back at home. Now, there are a lot of hidden challenges and unanswered questions present in this plan. The first stage is supposed to land back on the launch mount (instead of landing on a pad like the current Falcon 9 first stage), requiring centimeter-scale targeting precision. The spaceship needs to support 100 people during the flight over, and the psychology of a group that size in a confined space for 6 months is basically unstudied. Besides other concerns like storing highly cryogenic propellants for a months-long flight, radiation exposure during the flight, the difficulty of re-orienting 180 degrees during re-entry, and the feasibility of landing a multi-ton vehicle on soft Martian regolith using powerful rocket engines alone, there are the big questions of exactly how the colonists will live and what they will do when they get to Mars, where the colony infrastructure will come from, how easy it will be to mine water on Mars, and how the venture will become economically and technologically self-sufficient. Despite all of these roadblocks and question marks, the truly shocking thing about the proposal is the price tag. Musk wants the scalability of the ITS to eventually drive the per-person cost down to $200,000. While still high, this figure is a drop in the bucket compared to the per-capita cost of any other Mars architecture on the table. It’s well within the net-worth of the average American (although that figure is deceptive; the median American net-worth is only $45,000. As far as I can figure, somewhere between 30% and 40% of Americans would be able to afford the trip by liquidating most or all of their worldly assets). Can SpaceX actually achieve such a low operational cost? Remember that SpaceX was originally targeting a per-flight price of $27 million for the Falcon 9. Today, the price is more like $65 million. Granted, the cost to SpaceX might be more like $35 million per flight, and they haven’t even started re-using first stages. But it is not a guarantee that SpaceX can get the costs as low as they want. We have little data on the difficulty of re-using cores. Despite recovering several in various stages of post-flight damage, SpaceX has yet to re-fly one of them (hopefully that will change later this year or early next year). That isn’t the whole story, though. The Falcon 9 was designed to have the lowest possible construction costs. The Merlin engines that power it use a well-studied engine design (gas generator), low chamber pressures, an easier propellant choice (RP-1 and LOX), and relatively simple fabrication techniques. The Falcon 9 uses aluminum tanks with a small diameter to enable easy transport. All of their design choices enabled SpaceX to undercut existing prices in the space launch industry. But the ITS is going to be a whole other beast. They are using carbon fiber tanks to reduce weight, but have no experience in building large (12 meter diameter) carbon fiber tanks capable of holding extremely cryogenic liquids. The Raptor engine uses a hitherto unflown propellant combination (liquid methane and liquid oxygen). Its chamber pressure is going to be the highest of any engine ever built (30 MPa. The next highest is the RD-191 at 25 MPa). This means it will be very efficient, but also incredibly difficult to build and maintain. Since reliability and reusability are crucial for the ITS architecture, SpaceX is between a rock and a hard place with its proposed design. They need the efficiency to make the system feasible, but the high performance envelope means the system will suffer less abuse before needing repairs, reducing the reusability of the system and driving up costs. At the same time, reusability is crucial because the ITS will cost a lot to build, with its carbon fiber hull and exacting standards needed to survive re-entry at Mars and Earth many times over. It’s almost like the ITS and Falcon 9 are on opposites. The Falcon 9 was designed to be cheap and easy to build, allowing it to be economical as an expendable launch vehicle, while still being able to function in a large performance envelope and take a beating before needing refurbishment. The ITS, on the other, needs all the performance gains it can get, uses exotic materials and construction techniques, and has to be used many times over to make it an economical vehicle. All of these differences make me think that the timeline for the development of the ITS is, to put it mildly, optimistic. The Falcon 9 went from the drawing board to full-stack tests in 6 years, with a first flight a few years later. Although the SpaceX of 2004 is not the SpaceX of 2016, the ITS sure as hell isn’t the Falcon 9. A rocket using the some of the most traditional and well-worn engineering methods in the book took 6 years to design and build. A rocket of unprecedented scale, designed for an unprecedented mission profile, using cutting-edge construction techniques… is not going to take 6 years to design and build. Period. Given SpaceX’s endemic delays with the development of the Dragon 2 and the Falcon Heavy, which are a relatively normal sized spaceship and rocket, respectively, I suspect the development of a huge spaceship and rocket will take more like 10 years. Even when they do finally fly it, it will take years before the price of seat on a flight falls anywhere as low as $200,000. If SpaceX manages to launch their Red Dragon mission in time for the 2018 transfer window, then I will have a little more hope. The Red Dragon mission needs both a proven Falcon Heavy and a completely developed Dragon 2. It will also allow SpaceX to answer a variety of open questions about the mission profile of the ITS. How hard is it to land a multi-ton vehicle on Martian regolith using only a powered, propulsive descent? How difficult will it be to harvest water on Mars, and produce cryogenic propellants from in situ water and carbon dioxide? However, if SpaceX misses the launch window, I definitely won’t be holding my breath for humans on Mars by 2025. To close out 2014, I’d like to talk about why I’m very excited for the next 5 years in space travel. 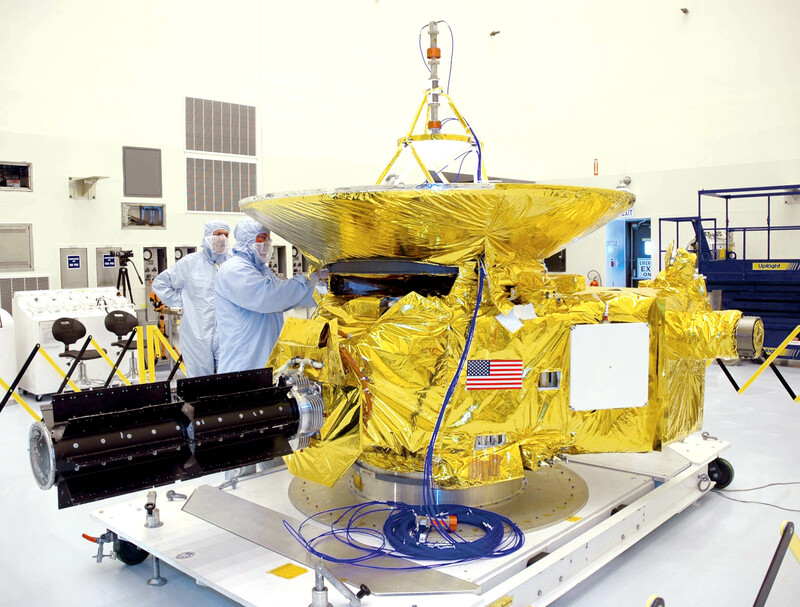 Early next year we’ll get to see two extremely cool missions returning pictures: the Dawn spacecraft, and New Horizons. 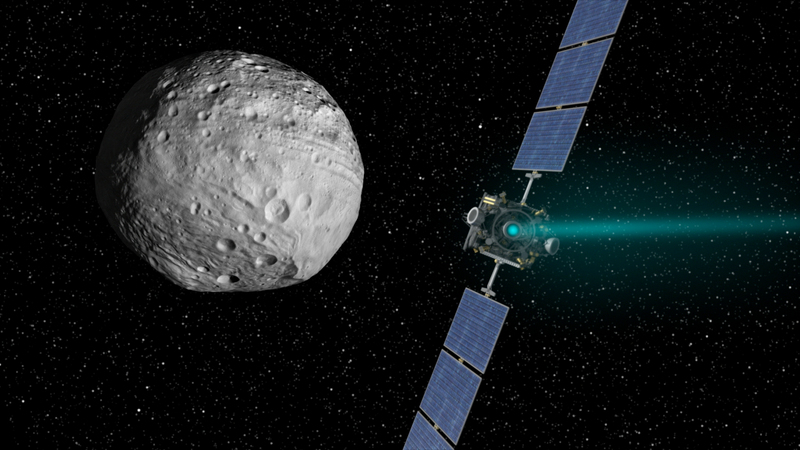 In April 2015, Dawn will be the first spacecraft to enter orbit around body that isn’t the Earth or the Sun, then exit orbit and enter orbit around another body. We’ll get to see high-res photos of Ceres; expect a lot of articles about old theories being overturned by the data Dawn returns. 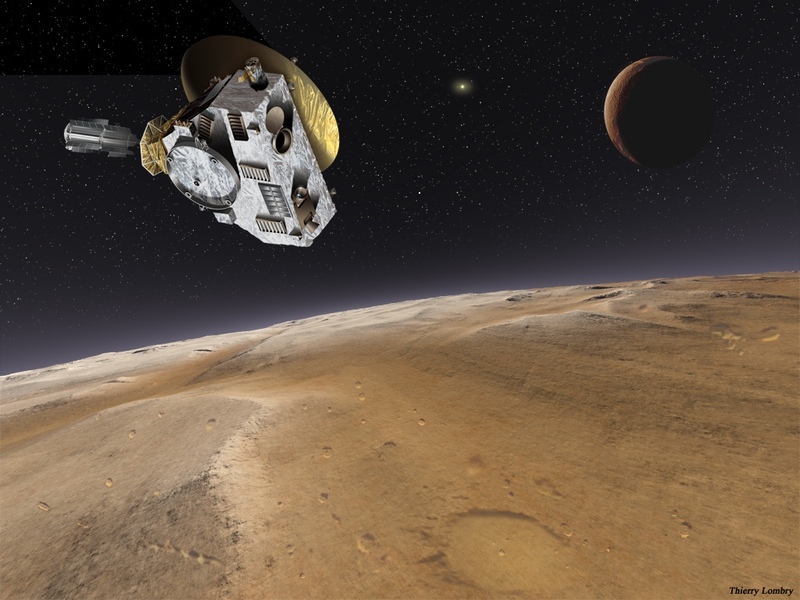 Second, New Horizons will be performing a fly-by of Pluto in July 2015. This will be our first good look at a trans-Neptunian dwarf planet. Observations could provide a lot of insight of the Kuiper belt, as well as other structures like the (potential) inner Oort cloud. Between Dawn and New Horizons, we’ll be getting our first close-up look at dwarf planets. There are other fascinating missions that are either already launched, or on schedule to be launched. ExoMars is a joint mission between the ESA and Roscosmos with the single purpose of searching for bio-signatures (past or present) on Mars. This is exciting because all current NASA missions very pointedly don’t have this scientific objective. The last NASA mission to search for bio-signatures was the Viking landers in the late 1970’s. I’m a little concerned that Russia will have trouble with their end of the mission; after all, the Russians don’t have the best track record when it comes to Mars. 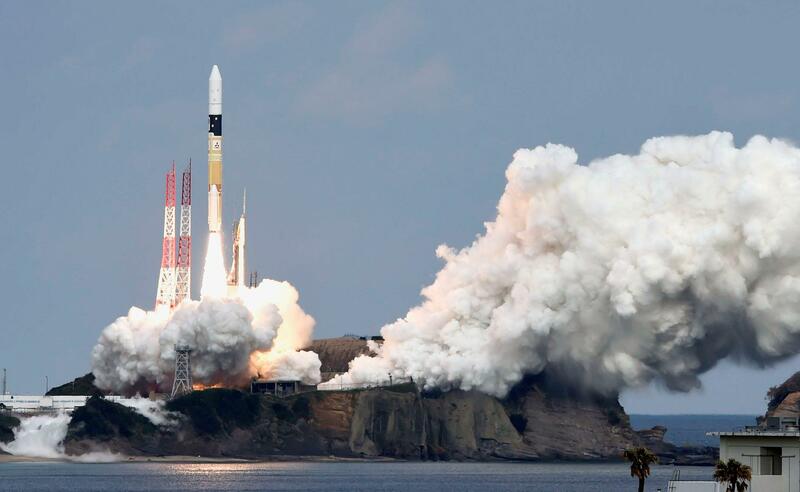 Also exciting and potentially more fruitful is Hayabusa 2, launched earlier this fall. Hayabusa 2 is interesting because they plan to shoot an asteroid with a space gun. Leave it to the Japanese to put cannons on their spaceships (technically the Russians did it first, but they didn’t actually shoot at something). 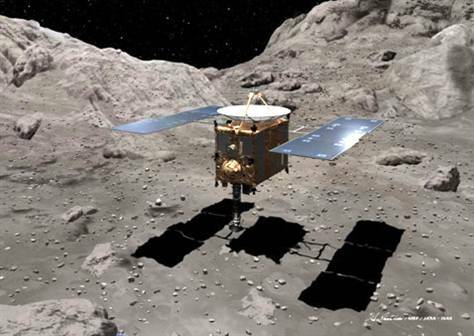 After blowing a crater in asteroid 1999 JU3, Hayabusa 2 will float down and take samples from the newly exposed subsurface. The mission will finally return the samples to Earth in December 2020. A bit closer to home is another interesting mission: the Chinese plan to launch a Moon sample return mission in 2017. The mission architecture is interesting; unlike early sample return missions, the lander will rendezvous in lunar orbit with a return craft. I might be wrong about this, but I think this will be the first automated rendezvous and docking around a body that isn’t Earth. I think it’s great that China is making leaps and bounds in its space program; earlier this year, they launched a test mission for the upcoming sample return mission and took a German payload along for a ride. The more the merrier, I say! Speaking of which, the competition for the Google lunar X-prize is going to draw to a close in a few years. The deadline was recently extended to the end of 2016, and at least one team already has a flight reserved in 2015. There are only a few teams still seriously in the running, but if even two of them actually get off the ground, the Moon could become a very crowded place indeed. One of teams at the forefront, Astrobotic, has booked a launch with SpaceX on a Falcon 9. And SpaceX really has come to prominence lately. Expect a lot more out of them in the next few years. For example, in 6 days they are going to attempt to land the first stage of a Falcon 9 on a barge for the first time. Although this has a pretty low chance of working (Musk estimates 50%, so who knows how low it actually is), it is a huge step towards their long-term goal of rapidly reusable rockets. In fact, if they do get a barge landing to succeed, we might even get to see a used stage re-fly as early as 2015! And on that front, SpaceX will be finishing up the Dragon V2 by 2016 or 2017. Besides launch abort tests and propulsive landing tests, we will also no doubt be seeing manned commercial launches in a few years. Remember the excitement when SpaceX became the first company to dock a spacecraft with the ISS? The celebration will be ten-fold when SpaceX becomes the first company to put a human in orbit. 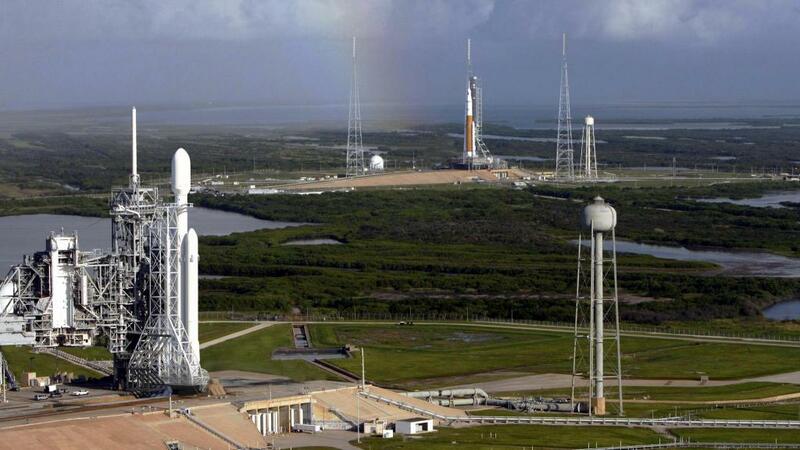 But Spacex will also perform the maiden launch of the Falcon Heavy, and facilitate ground-breaking tests for both VASIMIR engines (if funding for that doesn’t run out) and an inflatable habitat on the ISS. We might even see more action from Bigelow Aerospace. They’ve manifested a number of flights from SpaceX, presumably to start launching components for a commercial space station. Now that cheaper orbital crew transportation is just a few years away, Bigelow is ramping up production again; hundreds of new positions have opened open at Bigelow. Finally, the wildcard. Will the SLS actually launch, or will it get cancelled before its first flight due to a change of presidency or loss of support in Congress? If it does launch, it will be spectacular. Unfortunately, I pretty much doubt any of the potential missions for the SLS (Europa Clipper, ATLAST, or Uranus orbiter) will get funded, so it is almost guaranteed that the SLS gets shelved even if does fly in 2018. So there’s that to look forward to. One of the most interesting things to think about with respect to the near-future of space travel is the removal of limited mass as a paradigm. That is to say, right now the predominate design constraint for spacecraft is mass, because rockets are very expensive, so each kilogram of payload must be put to best use. Unfortunately, this means that the design and construction costs for spacecraft are very high, as much effort is put towards shaving off grams by using exotic materials and efficient designs. But soon the current launch vehicle renaissance will result in launch costs low enough to demolish the limited-mass paradigm. There is a tipping point where it is economical to cut design costs and take the hit on launch costs. There will also see a growing emphasis on tough and reliable systems that last a long time, rather than fragile, light, efficient systems. Combined with lower fuel costs from asteroid mining and improved refueling technologies, the predominant modus operandi will be repairing spacecraft rather than replacing spacecraft. Designing for reusability and, more importantly, refurbishment will be critical. We’re already seeing a shift towards this paradigm with SpaceX. 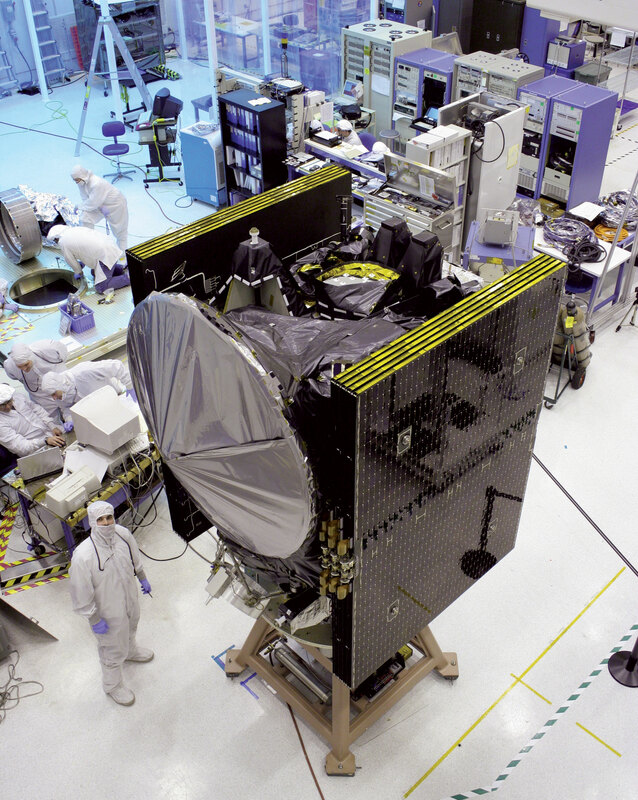 Their launch vehicles use redundant systems to make up for their cheaper designs — their avionics electronics, for example, are not rad-hardened but instead redundant in triplicate. The mass penalty is minimal, however they also make up for it by using modern electronics concepts. For instance, instead of running numerous copper wires up and down the length of their rockets, they run a single ethernet cable and use a lot of multiplexing. This kind of change is just the beginning, however. There will be a time when it makes sense to loft a big bundle of steel rods into orbit and have workers weld them into a frame for a spaceship. This has a number of benefits: the frame doesn’t have to be fit into a fairing, it can be reconfigured on the fly, and it doesn’t have to endure the acceleration and acoustic stresses of launch. Additionally, lifting big bundles of steel makes best use of the volume in a launch vehicle fairing. I think the only two questions about the future of space travel are: How much will it be dominated by robots? and Where will the money come from? But those are questions for another time.